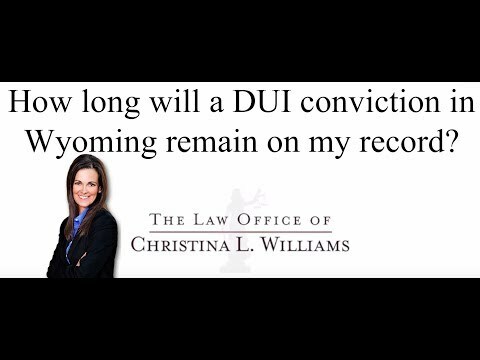 How long will a DUI conviction in Wyoming remain on my record? A conviction is generally a permanent record. There are avenues in which to keep the DUI off of our record, such as a deferred prosecution. However, that is available only one time and if you’re not eligible for the deferred, the DUI look back period is 10 years. If you are convicted of a DUI, say in 2017, and unfortunately, you are again convicted of another DUI within 10 years, that second DUI is charged with steeper penalties and mandatory jail time. A DUI is generally permanent on your record unless it’s deferred and Wyoming looks back 10 years for purposes of enhancing a subsequent DUI conviction.